Hello folks. 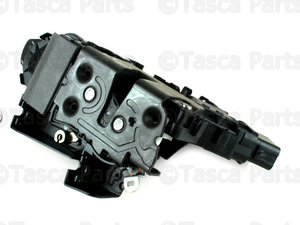 I really really need some help replacing the door locking mechanism in my 2008 S80. Basically I was getting the "door open" graphic on the dash...red & yellow warning lights on the dash...interior lights would not shut off...doors will not lock either internally or with the key FOB. Basically the car thinks the drivers door is open (when of course it is not). I tried a couple things initially. Tried adjusting the door catch (the part the the door jam that the lock grabs when the door is closed)...tried spraying a bunch of lube into the lock mechanism...nothing is working. Basically here's where I need help. I removed the door panel, got access to the inner door area by unbolting the metal panel...separated the door glass from the window regulator. The problem is there's a plastic cage like part that surrounds the lock/lock actuator part (this part also has a section of window glass track on it). I removed two screws that hold this plastic cage part in place. After removing these 2 screws it wiggles around a lot...but it still seems to be attached at multiple places. I found one spot on the inside near the outer door handle (on the inside of the door) where this plastic cage part was clipped on...but this plastic part still won't come out. I've searched the internet for DIY videos...and can't find any info on how to get remove/replace this lock/lock actuator part. Please someone have experience & some tips on how to get this part out. I have the new part...just need to figure out how to get the old part out. Last edited by pigoo3; 10-21-2017 at 03:57 PM. I'm going to assume after 2 days that this is an uncommon question. I ended up purchasing a digital Volvo repair manual. It's not great...but better than what I had before.